Huawei, the latest Android player: Who are these guys? Despite the company's brash marketing and seemingly innovative products, few Americans have heard of the Chinese smartphone company. Huawei, a multinational telecommunications company based in Shenzhen, Guangdong, China, has been generating a lot of mobile buzz lately. At this week's Mobile World Congress in Barcelona, Huawei launched its Ascend D quad-cord smartphones, which the company claims are the "world’s fastest." It also unveiled the MediaPad 10 FHD, a 10.1-inch, quad-core tablet that will run Android 4.0 when it ships in the second quarter. Earlier this year at CES, Huawei announced two stylishly thin smartphones, one of which--you guessed it--the company called the "world's slimmest." Obviously, Huawei doesn't shy away from hyperbole. And yet despite the company's brash marketing and seemingly innovative products, few Americans have heard of the company--which operates in 140-plus countries and employs more than 100,000 people. "These guys are no strangers to the mobile phone market, but they are relative strangers to end users, says IDC mobile analyst Ramon Llamas. "If you polled a hundred people in Times Square in New York City and said, 'Name as many mobile phone vendors as you can,' I'd be very surprised in anybody named Huawei," Llamas adds. Like fellow Chinese telecommunication giant ZTE, Huawei wants a piece of the lucrative U.S. mobile market. Both companies' ambitious plans have raised concerns in Washington. Last November, a U.S. House intelligence committee launched an investigation into Huawei and ZTE to see if the mobile equipment suppliers posed a threat to U.S. security. 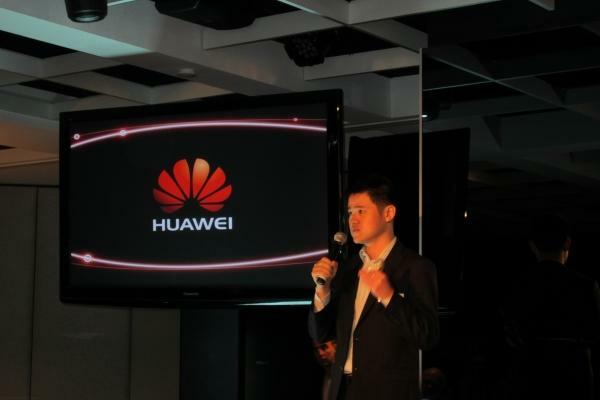 Like HTC, a Taiwanese manufacturer of smartphones and tablets that went from being a "white box" contract builder for other vendors to an established brand, Huawei hopes to make a name for itself in the North America. But that's not easy. The company has built a variety of modestly-priced smartphones that you may have seen or even used, including the T-Mobile Tap, Sprint Express, and AT&amp;T Impulse 4G and U2800. "I've played with a bunch of their phones, and they're really, really good," says Llamas. "They can more than hold their own up against some of the more established brands here in the United States." That is, if consumers trust the Huawei brand--but earning that trust isn't easy. So what's a telecom giant to do? In a world of me-too Android phones, Huawei needs a "well-defined, differentiated product--something that resonates with end users and gains the attention of mobile operators," says Llamas. The need for attention from America's Big Four wireless carriers might explain Huawei's headline-grabbing "world's fastest" and "world's slimmest" boasts. "When you take a look at Verizon and AT&T--let's just pick those two--the first (phone) brands you think of are Apple, Samsung, and HTC," says Llamas. And to get noticed, Huawei needs to make more than run-of-the-mill hardware. "If you're really going to make some noise, you've got to attract early adopters with wicked-awesome, high-end smartphones," Llamas adds. Contact Jeff Bertolucci at Today@PCWorld, Twitter (@jbertolucci) or jbertolucci.blogspot.com. <em><a href="http://www.pcworld.com/rc/mwc/index.html"><img title="" src="http://images.pcworld.com/images/article/2012/02/mwc_phone_tablet_promo_size-11326592.jpg" alt="" border="0" width="90" height="60" align="left" class="small"/></a>For more blogs, stories, photos, and video from the world's largest mobile show, check out </em><a href="http://www.pcworld.com/rc/mwc/index.html"><em>PCWorld's complete coverage of Mobile World Congress 2012</em></a>.